Jo Labanyi is Professor of Spanish at New York University, where she directs the King Juan Carlos I of Spain Center. A founding editor of the Journal of Spanish Cultural Studies, she edits the series Remapping Cultural History. Her most recent books are Spanish Literature: A Very Short Introduction (2010) and the coedited volume Europe and Love in Cinema (2012). She is a participant in the research project Los medios audiovisuales en la transición española (1975–1985): Las imágenes del cambio democrático, directed by Manuel Palacio at the Universidad Carlos III, Madrid. Her research interests include modern Spanish literature, film, photography, popular culture, gender, and memory studies. She was elected Fellow of the British Academy in 2005. Tatjana Pavlović is Professor of Spanish at Tulane University in New Orleans. She is author of the monograph Despotic Bodies and Transgressive Bodies: Spanish Culture from Francisco Franco to Jesús Franco (2003) and coauthor of the comprehensive survey 100 Years of Spanish Cinema (2009). 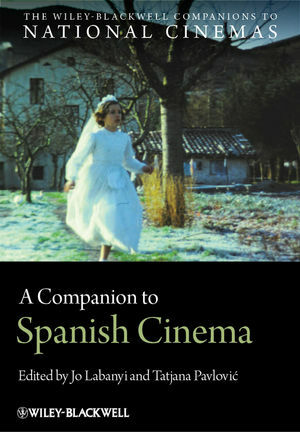 Her recent monograph The Mobile Nation (1954–1964): España cambia de piel (2011) focuses on a crucial period of transition in the history of Spanish mass culture, examining the publishing industry, the expansion of the television network, popular cinema, the development of mass tourism, and the national automobile manufacturing industry. Her research and teaching interests center on twentieth-century Spanish intellectual history, literature, cultural studies, and film theory.